» Uncategories » Is Drinking Every Day Going to Turn You Into an Alcoholic? Is Drinking Every Day Going to Turn You Into an Alcoholic? When it comes to alcohol, there are few hard-and-fast rules. But experts say a nightly drink or two isn’t necessarily a bad thing. 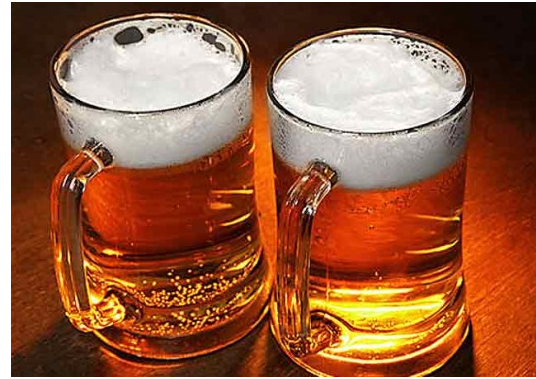 With exceptions—and we’ll get to those in a minute—having a drink or two every night isn’t in itself a sign of abuse or an indication that you’re heading for trouble, says Dr. George Koob, director of the National Institute on Alcohol Abuse and Alcoholism (NIAAA). “There’s very little data that having one or two drinks has any deleterious health effects in young men or leads to alcohol abuse later,” Koob says. People in many traditional European cultures tend to drink wine with meals. And a New England Journal of Medicine study found drinking 7-plus glasses of wine each week is one component of the kind of healthy Mediterranean-style eating pattern that lowers a person’s risks for heart disease. Even if you find yourself feeling irritable or antsy when you miss your evening drink, that’s not a sign that you’re “addicted,” Koob says. Say you have a beer or cocktail every night after work. Your body and brain are going to become accustomed to that evening ritual, and you may be irritable if you don’t have your hooch. But Koob points out the same would be true if you normally eat dinner at seven but pushed your meal to later in the evening. When it comes to sleep, eating, and any kind of substance, “anything that disrupts your normal routine is going to put you on edge, but that’s not an indication you have a use disorder,” he adds. If you have a family history of alcoholism, and especially if one or both of your parents has alcohol abuse issues, you need to be wary of booze, and you’re better off restricting your intake, Koob says. Also, if you’re practically shotgunning that first beer of the day, or you pound your evening cocktail in one or two slugs, that’s more indicative of binge drinking than of a low-risk drinking pattern, he explains. The same goes if you’re combining a few weeknights of light drinking with weekends of hard partying. “Generally, we define binge drinking for men as five drinks in a two-hour period,” he says. If that describes your Friday and Saturday nights, AND you’re knocking back a couple drinks every night during the week, you’re firmly in the danger zone. It’s a cliché that men drink when times are tough. But that kind of drinking is far from harmless. If you use alcohol to cope, a significant life event like a lost job or having a kid could quickly escalate your drinking into the danger zone, says Paul Lavella Jr., a licensed clinical alcohol and drug counselor at New Jersey- and Massachusetts-based Summit Behavi0ral Health. “If one or two drinks is your baseline, but you drink more when you’ve had a rough day or week, that’s something that could become a significant problem when life changes lead to stress,” he explains. If you have nights when you struggle to control your intake, that’s also a red flag. If you notice that happening regularly, you need to reassess your drinking. The same is true if you notice your habit is gaining steam. If you used to have a single beer with dinner, but now you’re having a cocktail before you eat and a couple glasses of wine with your food, that’s a problem. Finally and most importantly, any indication that your social, personal, or professional life is suffering due to alcohol is a sign that you need to make some changes, Lavella says. That’s true regardless of how much you drink. Title : Is Drinking Every Day Going to Turn You Into an Alcoholic? 0 Response to "Is Drinking Every Day Going to Turn You Into an Alcoholic?"